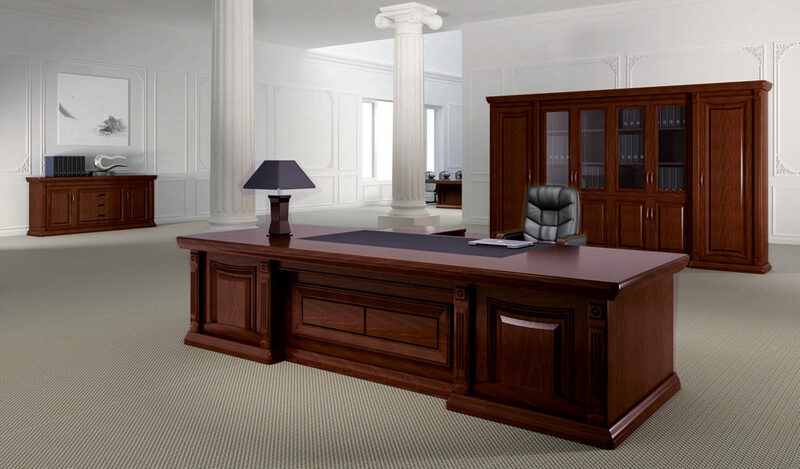 A classic 16 feet conference table with ornately carved solid wood edges and base. Designed with a capacity to seat 14 – 16 persons this traditionally styled boardroom table comes with a state of the art wire management system. The inbuilt wireboxes on the worktop have data and power ports for a seamless connectivity to all your devices and provide you with a clutter free work surface. A perfect choice for large and elegantly designed meeting rooms. 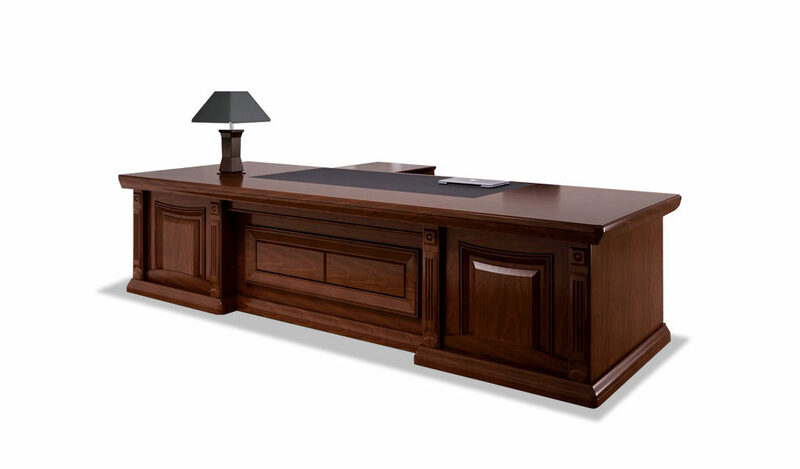 – This large 16 feet conference table looks best in its original walnut veneer and solid wood combination. – An elegantly designed 16 seater conference table best suited for large sized boardrooms of 300 sft and more. – 1. Main table with walnut veneer and leather worktop. 2. Fully covered wooden panel base with ornate carving. 3. Inbuilt wire management with two wireboxes for power and other connectivity. – Made using E1 grade MDF and natural wood veneer. 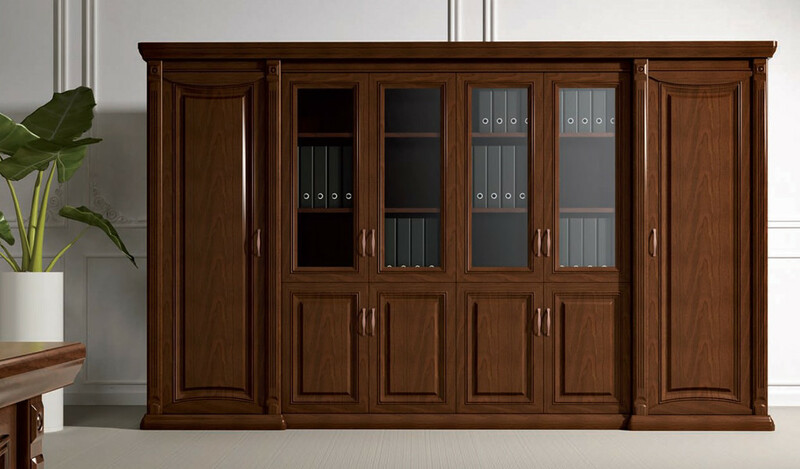 The E1 rated MDF is a superb highly durable material and a world standard for premium furniture while the veneer is from our carefully selected range of premium veneers with consistent color and grain structure. 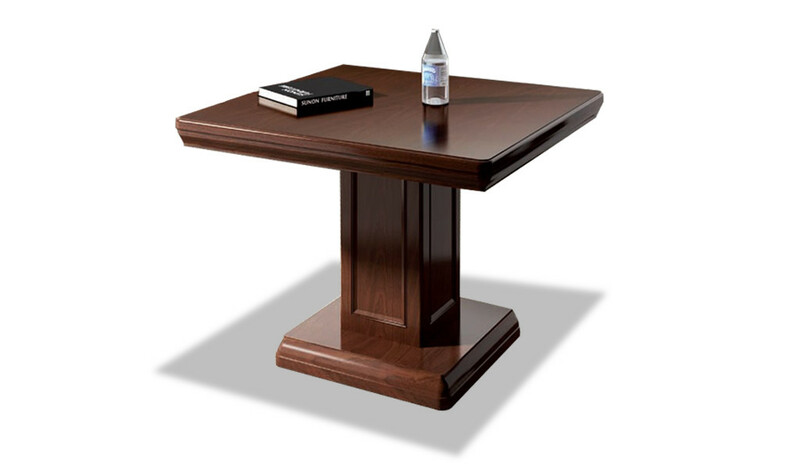 – A traditional style conference table finished in rich walnut veneer with solid wood edge banding. 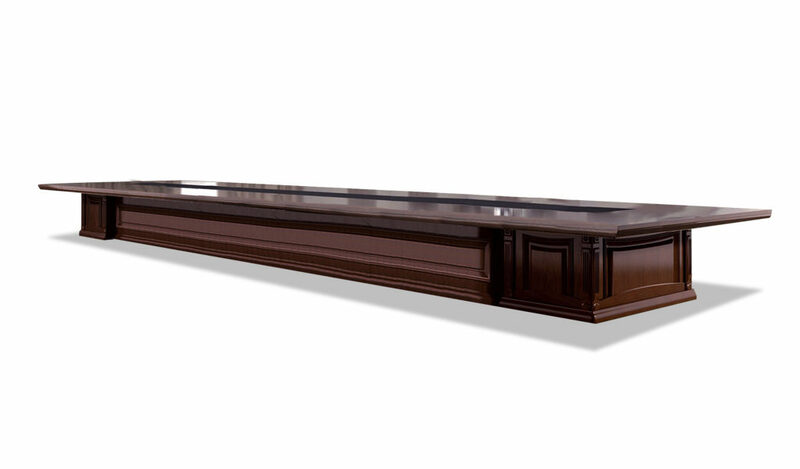 Designed as a 14 to 16 seater, this 16 feet classic boardroom table has ornately carved edges and base for a luxurious look and feel. 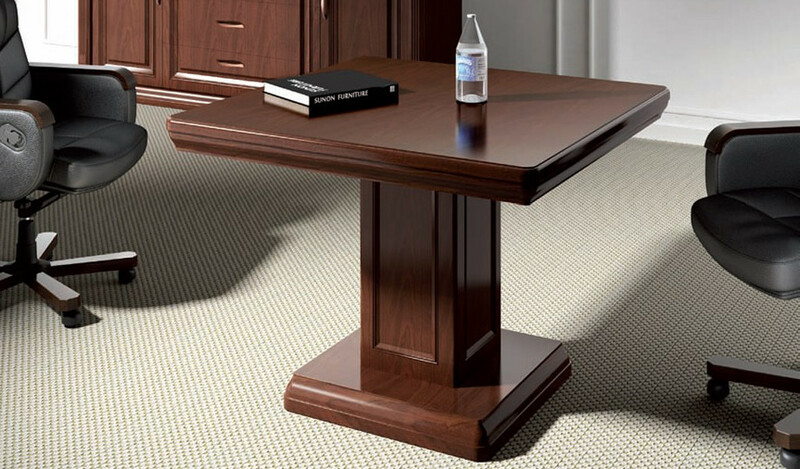 Crafted with the highest quality engineered wood and premium veneer it is built for lasting durability, natural feel and classical looks. Also included with this meeting table is an inbuilt, state of the art wire management system for a clutter free work surface. 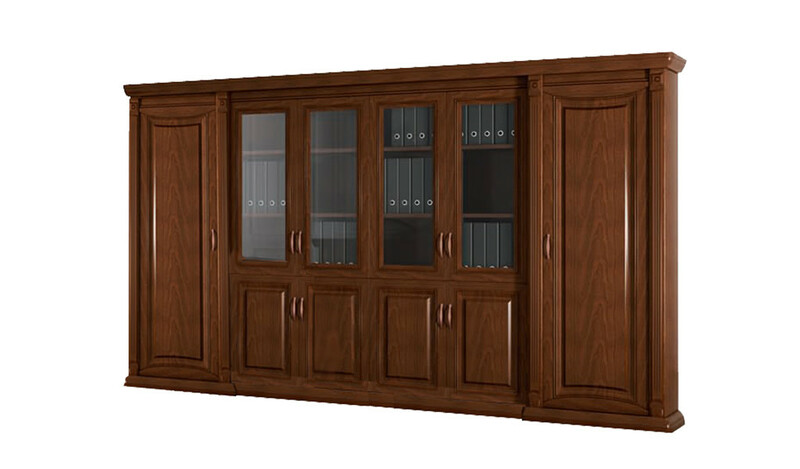 It is part of the Caesar series from which you can choose an entire range of matching cabinets, office tables, conference tables etc to create a complete office. Go to our catalog section to download the entire catalog.